Food is fast becoming a critical issue in a world of changing climate. In order to address this challenge, consumer choices in food will have to become much more sustainable than they are at present. In this instance, sustainable covers a variety of scopes, including converting to primarily plant-based diets, eliminating pesticides, using natural fertilizers, reducing greenhouse gas emissions (GHGs), preserving biodiversity, limiting food miles, and maintaining quality and quantity of water. This post will examine the best possible choices a consumer can make in terms of most limiting their environmental impact. In particular, this post will assess the intrinsic pros and cons of two ostensibly-sustainable forms of agriculture: organic and local. Before examining organic and local agriculture, the distinction between plant-based diets and conventional diets (which incorporate meat) must be taken into consideration. Lamb and beef are particularly unsustainable, with red meat producing 1.5 times as many GHGs as white meat. To compare the vegetarian versus the non-vegetarian diet, a study performed in California showed that the conventional diet requires 2.5 times more energy, 2.9 times more water, 1.4 times more pesticides, and thirteen times more fertilizer than a vegetarian diet. This indicates that the first requirement of sustainable food choices relies upon a diet that greatly limits meat consumption, while focusing primarily on plant-based foods. With the requirement for a primarily plant-based diet established, the next requisite is that the produce purchased be free of pesticides. Organic foods are ideal for this—either organic-certified or foods from farmers who grow crops according to organic practices. Organic foods prevent pesticide runoff that pollutes water supplies and soil. Organic agriculture also utilizes natural fertilizers that produce greater yields and have a much smaller impact on the environment than their synthetic counterparts. Synthetic fertilizers do add necessary compounds for plant health, but do not add the microbes necessary for long-term soil health—destroying the soil’s vitality and ability to produce food. Synthetic fertilizers (and synthetic pesticides) must also be manufactured industrially, adding to greenhouse gas emissions. However, in terms of greatest crop yields, according to Lingfei et al. (2018), “25% N substituted with organic fertilizer (OM25) produced the highest yield [in tea plants].” This means that a combination of seventy-five percent organic fertilizer and a synthetic, twenty-five percent nitrogen produces greater yields in tea plants than both purely organic and purely synthetic fertilizers. Similar results were found in the study of tomato plants, which showed that a combination of synthetic and organic fertilizers produced the greatest yields in tomatoes. This implies that a combination of synthetic and organic fertilizers may be the most ideal in terms of greatest crop yields, even though it is less sustainable than purely organic fertilizer. On the whole, organic production limits the amount of greenhouse gases injected into the atmosphere. This is primarily due to the lack of synthetic fertilizers and pesticides used in organic operations. What Does “Organic” Mean, and Should You Buy Organic Foods? by SciShow. This video gives an in-depth explanation on what organic is, its benefits, and its drawbacks. The next topic is biodiversity. Unfortunately, neither local nor organic agriculture ensures the preservation of biodiversity. However, there are ways to limit future loss: by purchasing from growers who actively cultivate a wide variety of fruits and vegetables in a polycultural manner. The Desert Oasis Teaching Gardens (DOT Gardens) at the Albuquerque Academy, New Mexico, are a prime example of this; the DOT Gardens grow not just varying rows of different crops, but different crops within the rows themselves in order to preserve biodiversity and the health of the soil. Planting a Spring Garden by the Desert Oasis Teaching Gardens. The wide variety of crops within the rows preserves biodiversity and the health of the soil. As for food miles, both local and organic production show very little difference in transportation emissions. This is demonstrated by Coley et al. (2008), whose study shows that a mere round-trip drive of 6.7 kilometers (approximately 4.2 miles) to buy organic food produces more carbon emissions than cold-storing, packing, and transporting food to a food hub and to a customer’s home—i.e. the conventional method of produce supply. Weber and Matthews (2008) also emphasize this point, explaining that, because eighty-three percent of emissions are devoted to the production phase of food, simply not eating red meat once per week has a greater GHG footprint reduction than buying entirely local food. The final factor depends on water quality and quantity. There is no evidence that local or organic food uses less water than their counterpart, but there is evidence that organic farms have less impact on water sources due to a lack of pesticide use. According to a study performed by Bohnet et al. 2018, if all farmers in Australia alone were to transition from conventional to organic farming, then the quality of water would improve by fifty-six percent. Organic farming is a key method for conserving the quality of drinking water. The Planetary Health Plate by the EAT-Lancet Commission. The above plate is considered both healthy and sustainable. It consists primarily of plant-foods, with small sources of animal products to maintain human health. With a transition to mostly-plant-based diets, with animal products mainly consisting of chicken, eggs, and dairy, organic agriculture is largely more sustainable than purely local production. However, there is growing corporatism in the organics industry that is leading to “cut corners,” including massive numbers of organic chickens only being allowed small porches for outdoor access, as well as insufficient pasture space for organic dairy cows. Because of this, the best option is to become familiar with growers and their practices, as solely purchasing from farms with an organic label discredits those farmers who do practice organic farming (without cutting corners), but simply cannot afford the USDA Organic seal (which is expensive and difficult to maintain). In this case, it is important to recognize the origins of the food production and to discover inputs used (type of fertilizer, pesticides, et cetera). There is also the fact that buying local food improves the economy of an area, particularly if impoverished, because it allows money to recirculate in the community longer. All-in-all, buying organic food saves the planet, while buying local food saves the farmers. Ergo, buying organic food from local farmers provides the best of both the economical and the environmental worlds. In a culture that is increasingly saturated with vegan “life-style influencers,” it is hard to ignore the assumption that a sustainable diet is one that is plant-based, and one whose products use as few natural resources as possible in order to lessen the global impact of climate change. However, a sustainable diet in such strict terms ignores a more comprehensive consideration of human physical health. An answer for what such a diet looks like might be better understood in relation to a continuum with the following extremes: a fully plant-based diet compared to a diet rich in animal products. The American Journal of Clinical Nutrition defines sustainable diets as “those diets with low environmental impacts which contribute to food and nutrition security and to healthy life for present and future generations. Sustainable diets are … nutritionally adequate, safe and healthy; while optimizing natural and human resources.” It is important to note that some diets are more sustainable than others, but one’s diet must include deliberate considerations of both physical and ecological health to sustain both human life and the earth simultaneously. The EAT–Lancet Commission expresses in their extensive report on healthy diets within sustainable food systems that “plant-based foods cause fewer adverse environmental effects per unit weight, per serving, per unit of energy, or per protein weight than does animal source foods across various environmental indicators,” while also cautioning that studies have shown that a total vegan diet – that is to say, one that is completely without consumption of any food or product containing animal products – has links to higher risks of type 2 diabetes and coronary heart disease, specifically plant-based diets that include less healthy plant food such as “refined grains and sugar-sweetened beverages.” With this information, it then becomes important to delve deeper into the carbon and water footprints for various foods – with special attention to meat products in comparison to plant food – to more appropriately determine a diet that is effective in terms of health for both humans and the earth. Considering the aforementioned definition of a sustainable diet from The American Journal of Clinical Nutrition, which indicates “low environmental impacts”, one must look at what natural resources are used (and/or wasted) in plant-based agriculture versus animal agriculture to understand why moving away from meat and animal products is important. This becomes more obvious when comparing specific effects from carbon dioxide, and overall greenhouse gas emissions. The Meat Eater’s Guide to Climate Change directly compares the carbon footprint – which includes both production emissions as well as post-production emissions such as transportation – of meat and animal products, with various plant-based foods. According to their findings, it is clear that overall production of emissions from meat and associated animal products far outweigh those of plant-based foods. The values range anywhere from 3-35 kg of CO2 emitted – depending on the meat or animal product compared to the various plant foods researched, shown in the following chart. The meat and other animal products mentioned here are those that would otherwise replace the necessary nutrients for a physically healthy diet. It is also important to look at the water footprint of many of the same animal and plant foods to determine an effective sustainable diet that considers humans and the earth. For added clarity, according to the U.S EPA Annual Inventory of U.S. Greenhouse Gas Emissions and Sinks, the United States’ agriculture practices make up for 9.5% of total greenhouse gas emission, of which raising livestock accounts for 41%. While the data show that crop cultivation makes up half of the CO2 emissions – 10 percent more than livestock – up to 70 percent of all grain produced is fed to the livestock raised in the United States. Producing a kilogram of beef emits 26 kilograms of carbon dioxide, and the average person ate 98 kg of red meat and poultry in 2017. So, if Americans decrease their consumption of such foods, it would decrease overall greenhouse emissions. The Natural Resources Defense Council has found that beef is about “34 times more climate pollution-intensive as beans and lentils, pound for pound”; if beef were entirely cut out of the American diet, it would reduce greenhouse gas emissions between 46 and 74 percent of the reductions needed to reach the goal made in 2009 at the Copenhagen Summit by former President Barack Obama of 17 percent reductions by 2020. This would still be the case, even if other animal products were kept in diets such as chicken, pork, eggs, and cheese. A healthy diet that is mindful of physical and ecological health instead is one that focuses on whole grains, fruits, vegetables, nuts, and legumes, with minimal amounts of animal products to add much-needed nutrients and proteins. The EAT–Lancet Commission offers what that diet might look like on a daily basis. They define such a diet as consisting of: Nuts: 50 g (1 -3/4 ounces) per day; legumes (pulses, lentils, beans): 75 g (2-1/2 oz) per day; fish: 28 g (less than an ounce) per day; eggs: about 1 egg per week; meat: 14 g (1/2 an ounce per day; chicken: 29 g (1 ounce) per day; carbohydrate: whole grain bread and rice, 232 g carbohydrate per day and 50 g / day of starchy vegetables like potatoes and yam; dairy: 250 g (8 oz. glass of milk), vegetables: 300 g (10.5 ounces) of non-starchy vegetables and 200 g (almost 1/2 a pound) of fruit per day. While plant foods have less greenhouse gas emissions, and overall need less water to produce than animal meat and products, one does not need to completely eliminate animal products from one’s diet. Do you often experience a mid-day energy crash? Do you have a hard time keeping a regular sleep schedule? Do you often have difficulty concentrating for long periods of time? You may attribute these issues to high stress or figure that it is normal to experience these shifts in energy level and cognition throughout the day, but have you considered your diet? Many people do not actively think about the link between the nutritional value of the food they eat and the state of their mental health. Most of us only think about our diet in terms of physical health and changing our eating habits to achieve some physical goal of losing weight, gaining muscle, or improving physical performance. I too thought this way for many years, only really considering my nutrition when trying to lose weight. This resulted in years of yo-yo dieting, due to misinformation on nutrition and not listening to what my body needed. This past fall, I began yet another diet, but this time approaching it not only as a means to an end, but as a complete lifestyle change. In doing so, I came to discover the power that my poor nutrition had had not only over my physical health, but over my mental health as well. Overly processed convenience foods, high carbohydrate and high sugar diets, and huge portion sizes are all too common in the U.S., and it is hurting us more than we know. There is a growing body of evidence showing a link between poor nutrition and an individual’s mood, energy level, and cognitive function. Changing your diet, to include more vegetables, healthy fats, and proteins and fewer refined carbohydrates and sugar, as well as practicing mindful eating, can drastically improve your mental and physical wellbeing. In 2019, U.S. News and World Report came out with its ranking of the top diets in the U.S., with the Mediterranean diet ranking at number 1 for overall health. The Mediterranean diet and those similar, are plant-based, focusing on a having a well-balanced diet, consisting of more whole grains, fruits, vegetables, proteins, and healthy fats, and reducing intake of refined carbohydrates, sugars, and heavily processed meats. These diets have been linked to long term heart health and reduced risk of cognitive decline, but also benefit short term issues dealing with mood, energy level, and ability to concentrate. Protein: Foods high in protein are important for feeding your muscles, increasing your energy throughout the day. Good Sources: leafy greens, lean meats, fish, and eggs. Healthy Fats: Monounsaturated fats and omega 3 fatty acids help with mood, and have been shown to decrease risk of depression. Studies also show they decrease the risk of Alzheimer’s disease and dementia. Fiber: Foods containing higher amounts of dietary fiber help regulate blood sugar levels and fill you up more than foods containing little fiber, so you don’t feel as hungry or tired. Good Sources: leafy greens, whole grains, berries, vegetables, beans, nuts, and seeds. Refined Carbohydrates: Refined or simple carbohydrates are not a good source of nutrition because they are stripped down of the essential nutrients that fuel the body. Sugar: Diets high in sugar cause brain function to decline over time, and decrease one’s energy, mood, and ability to focus. What to avoid/limit: Sugary drinks, sweets, and anything with high amounts of added sugars. Following a nutrient-rich plant-based diet as outlined above has been shown to improve memory, attention skills, energy level, and mood, as well as protecting long term cognitive function. Improving your diet for your mental health is not only about choosing the right foods to eat, but how you eat those foods. A combination of eating the right foods, cooking meals, practicing mindful eating, and planning ahead of time ensures that you sustain your healthier diet, instead of reverting back to old, unhealthy habits. Once I implemented these changes into my life, I found it easier to eat healthy and stopped craving sugar and highly processed foods. Good nutrition is not just about providing your body with enough energy to get through the day, but protecting your mind, vital organs, and overall wellbeing. I began eating healthy with the goal of getting in shape, but through changing my habits and the foods I consumed, I discovered I felt more happy, energized, and overall healthier. I have no intention of ever returning to my past eating habits, and I hope you decide to do the same! Have you ever wanted to start your own garden, but excuses stopped you before the thought became a real idea? I’ve known it would be an enjoyable hobby and environmentally friendly to grow some of my own food but I thought “it’ll cost too much” or “I don’t have the tools.” These thoughts had me stuck for years, but I have now finally decided to start a garden on my student budget. Beginning the process – Start with considering some simple spatial questions like how much outdoor space do I have to utilize? and do I have outdoor space that receives adequate sunlight throughout the day? I don’t have a fenced backyard, but I do have a south facing front yard that begins to receive sunlight early in the morning and doesn’t fade till the sun sets. I have a space roughly 15 feet by 5 feet to the left of my front porch with plenty of space so I decided to start there. The next thing I decided was that it would be wiser to build a planter box since I’m renting and I don’t know the soil history of the yard. After these questions are addressed, it is time to start making some moves. Acquiring supplies – It doesn’t take much to create a nice garden and if you don’t need a planter box, the list of components is even shorter. Table listing materials, price, and quantity. Beginning the build – First things first, I measured, marked and cut the 2 foot posts and the 10 foot boards into 6 – 3ft 3in long boards. I then began with the short sides. I put the 2 foot posts, a couple inches short of 3 feet apart, placed a 3 foot board at the top, made sure they made a 90° angle and screwed them together. After the first was on, I simply placed the other two on and screwed them into place. The 3-foot sides attached to the 2-foot posts. After I had constructed the two short sides, I stood them on their sides and attached the 8ft boards to make a rectangular box. Attaching the 8-foot boards to the sides of the 2-foot post to make a rectangle. Because the planter box is going to be sitting outside, I decided to apply wood stain to help the wood last longer in the elements. Planter box after two coats of Varathane Brand wood stain. Most wood stains are toxic if directly ingested, but when given the proper amount of time to dry, it becomes safe to add your dirt and seeds! If you are curious for more information, check out some woodworking related websites like Popular Woodworking. Next step – Buying soil for your garden. This is the step that can often be costly if you are purchasing your garden soil from a well-known landscaping company that insists on delivering the soil to your home. I decided to see if I could find an alternative, cheaper option, so I jumped on the web. I found a local, family owned company called Rio Rancho Tractor Service, that keeps topsoil, manure and mixed soil for $30 a truck load if you can haul it yourself. Loading my truck was super easy and quick, thanks to Steven Espinosa at Rio Rancho Tractor Service. If you are an aspiring gardener, or have any dirt/manure related projects, I definitely recommend checking out Rio Rancho Tractor Service’s Facebook page. Placing the planter box – I dug holes for each post, placed the planter box and then backed my truck right up to it. Once the post holes are dug and the planter box is in its spot, start shoveling! Choosing and planting – Now comes the fun part, planting! If you are a beginner and don’t quite know what to start with, check out your county’s extension agents. 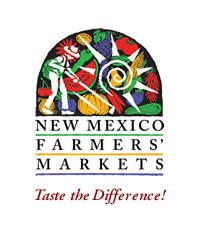 If you’re in New Mexico, utilize the Bernalillo County Cooperative Extension Service! I chose to plant some garlic, potato, and shallots bulbs, along with tomatoes and leafy green starters from Rehm’s Nursery and Garden Center. After everything was in the ground, it was time to water and watch them grow! My greens after 3 weeks of water and sunshine! The area where I live hasn’t seen its last frost yet so I bought a wall-o-water set to ensure my tomato plants would survive the cold nights. The wall-o-water is a simple way to utilize passive solar energy to keep warm climate plants comfortable through the frosty days. Wall – O – Water protecting my tomatoes. Good luck, now it’s your turn! – Hopefully I’ve proven the point that starting your own garden isn’t that hard. In total, constructing my planter box took one weekend and it cost just under $120. If a busy, full time student like myself can accomplish completing a project like this in my budget, then you can too. Just don’t forget to water daily!